Dr. Wang’s early publications directly addressed the research and engineering of biodegradable and biocompatible materials for drug delivery. He explored the application of natural polymers to make drug loaded fibers for wound healing [1, 2, 3, 6]. The drug loaded fibers can provide sustained release to wound and accelerate the healing process. He also used synthetic polymers to make drug loaded particles for sustained release of insulin and vaccines [4, 5]. 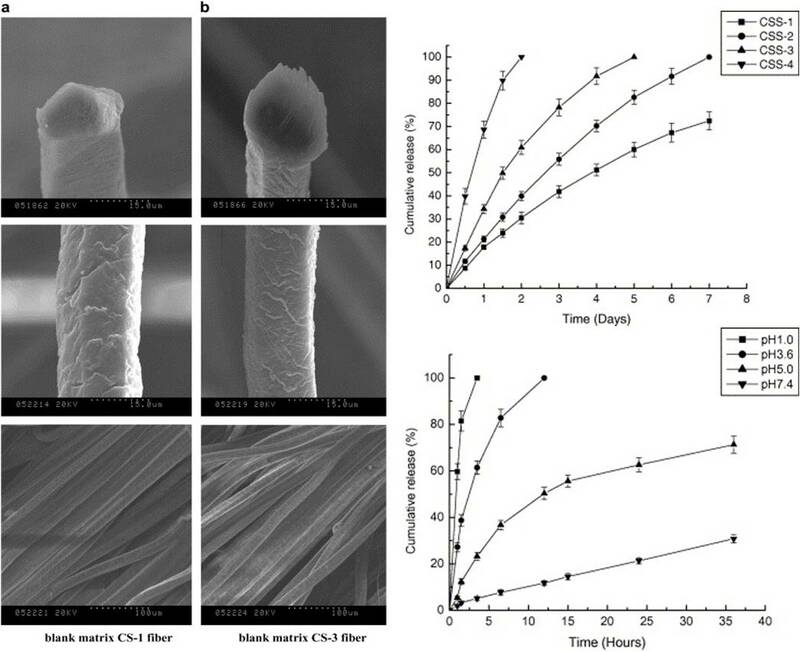 SEM of biodegradable and biocompatible chitosan fibers and their properties for drug controlled release .